The cold is here to stay, well at least for the next few months. Because of how intense it’s been the last few weeks especially here at Fargo ND, it’s time to upgrade the skincare routine so we can have our healthy natural summer glow any time of the year! You’ve probably been experiencing dry and cracked skin, flaking lips, and even a rougher texture on your face because of this cold weather. This can be painful and also make it near impossible to apply any makeup or skincare properly. This is why today I have five very simple changes you can make to your life so you can get rid of the colder month dry skin dilemmas. With these tips, you should be feeling refreshed and radiant, not dry and dull. The first thing to remember is that the skincare routine you’re so comfortable with during the summer, shouldn’t be used in Fall and Winter. 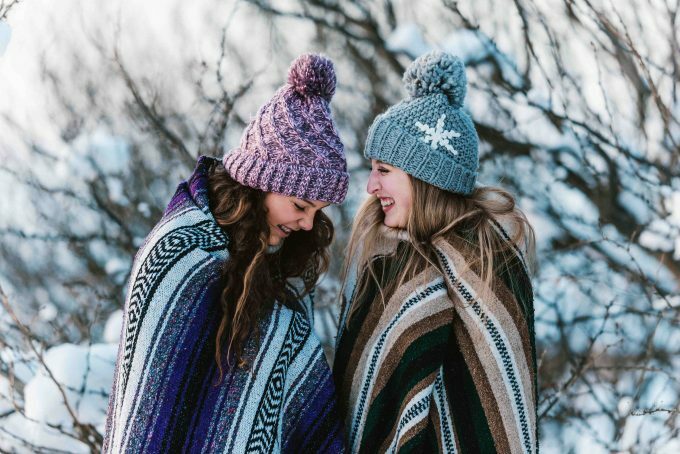 You’ll be giving your skin all the wrong things it needs to be able to beat the harsh cold weather. Which is why it’s important that no matter what skin type you have, you invest in a cold-month skincare routine that works for you and your lifestyle. There are so many different things we can do to take care of our health and our skin, but drinking tons of water and eating right can only do so much, especially for those who have problem skin. 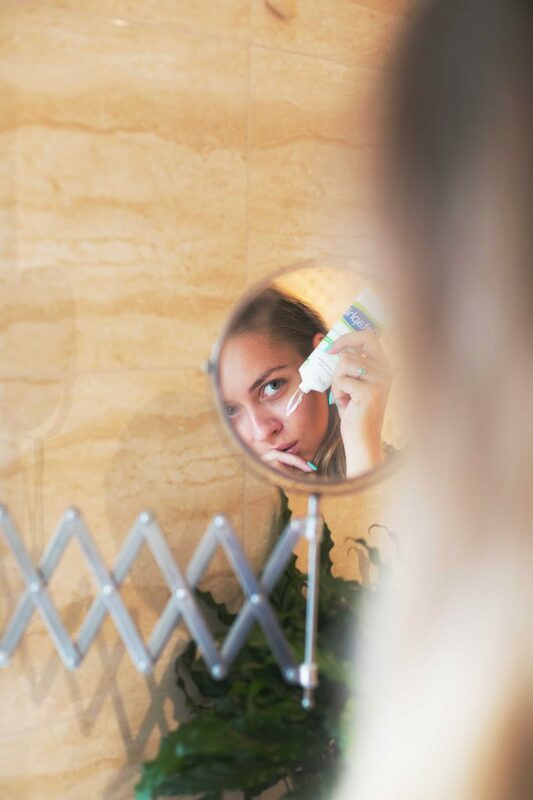 Adjusting our skincare routine is for the better, and we’ll walk you through everything you need to know below! A big hype in the skincare community would be foaming cleansers. They’re made to make your face feel fresh and usually created for those who have very oily skin. 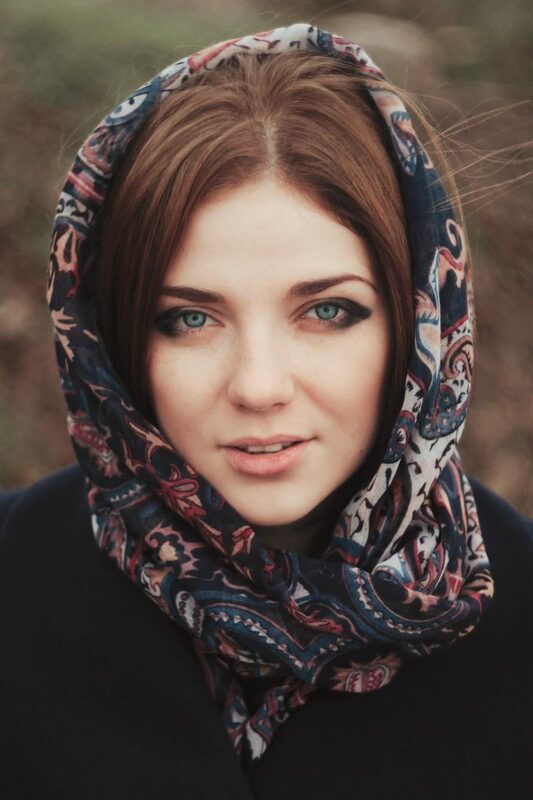 But when you use this kind of product in colder months, you’ll be drying out your skin more. These foaming products will strip the natural oils from your skin which means if you do this in cold weather, you’ll be exposing your skin to the harsh drying cold, with no natural oils to moisturize. When winter rolls around, switch up your skincare routine by adding a cream or oil-based cleanser to your routine. This will add some of the important moisture back into your skin for a long period, so your skin will stay soft and flake free. Sometimes the best thing you can do to keep your skin healthy is setting down the excessive tools and routines. Especially when you exfoliate regularly with a face brush like Clarisonic or with any other tool. I have found that using my trusty Foreo Luna every other day helps in the colder months. If you over-exfoliate your skin, you’ll notice right away just how dry it feels. This will often lead to irritated red skin, small irritation bumps, flaky skin and breakouts. Instead, limit exfoliating for at least 2 times a week or every other week, and use a heavy moisturizer on your skin right after. A great way to protect your face from the harsh winds of colder months is to upgrade your moisturizer. 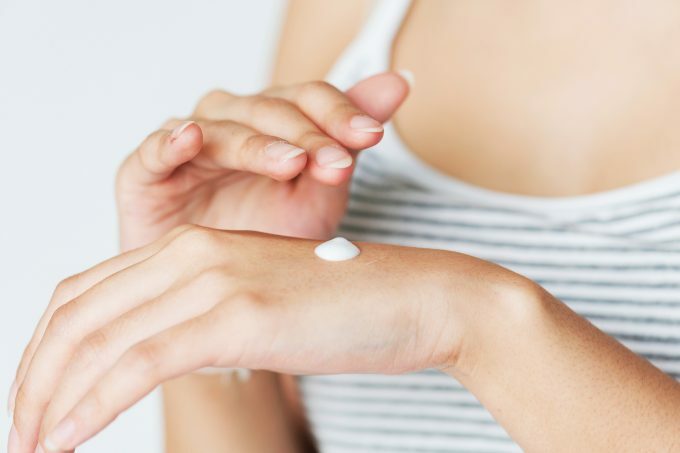 If you happen to be using the same moisturizer that you use in the summer, it’s just not enough when it comes to the cold. Instead, try a new moisturizer or an oil like Rosehip Oil, that’s much heavier and will keep your skin feeling and looking fresh and glowing. Sometimes even using sunscreen will help as well if you’re in a pinch. This is one of the most simple options you could do on this list, but one of the most effective. Also, don’t forget to use your moisturizer on your neck and chest area to prevent neck and chest wrinkles. 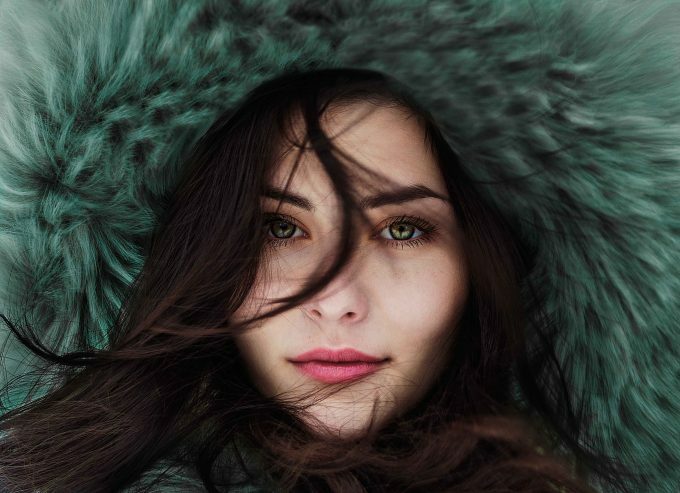 You shouldn’t go overboard in the cold months just because you believe you’re saving your skin. Less is so much more. With that said, adding a small serum to your beauty routine will also help your skin throughout the day. These are great to keep in your purse or pocket as well since you can use serums throughout the day on dry and cracked skin. You could also use a facial mist spray as well if you prefer that method of application. Either way, this is a great choice for someone who is always on the go! Even though this isn’t a skincare product, it’s a great way to bring more hydration to your skin, without a doubt! 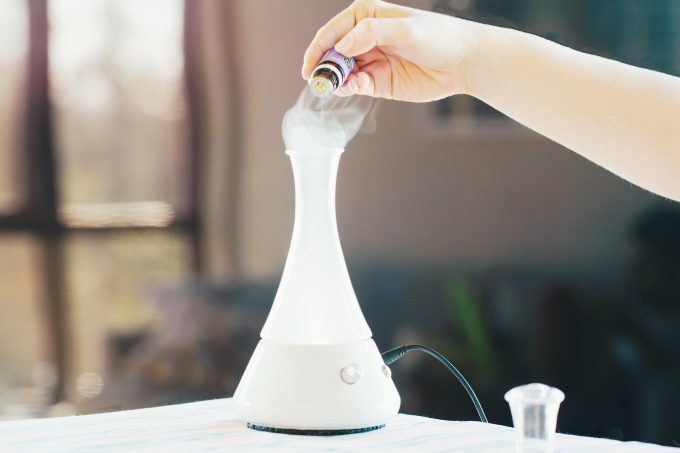 A humidifier takes out some of the dryness in the air, letting your skin breathe and retain some of its natural oils! By investing in a humidifier, you’ll also help the pores to open up and absorb the lotions and serums you’ve applied to the skin. This means you’ll be able to take on more benefits than the products just sitting on the surface of your skin. You can also add essential oils there, like these 8 essential oils I featured on the blog previously. Overall, no matter what tips and tricks you decide to try, don’t let cold weather bring you down with dry skin. You deserve to have the healthy skin you want and you should aim to go the extra mile to take care of your skin, not for anyone else, but for you and your wellness. 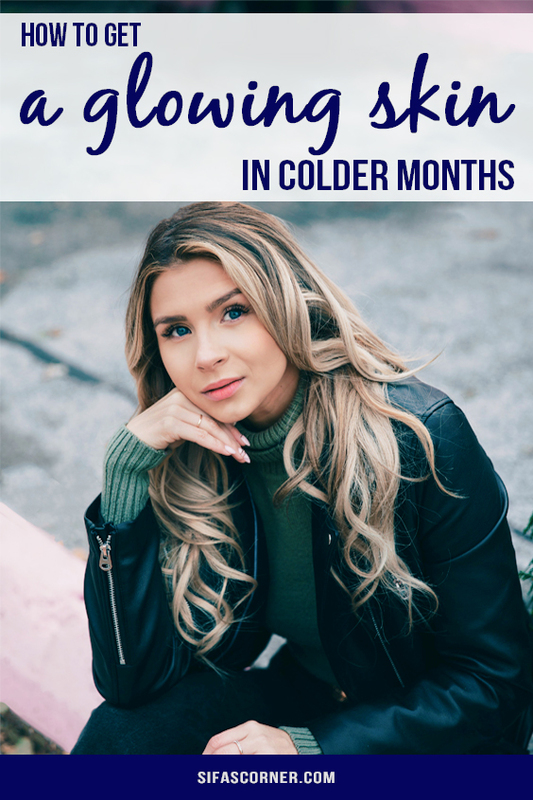 If you use these cold-month skincare tips you will definitely enjoy your glowing, healthy-looking skin all year around! Check out this article for some anti-aging tips. Don’t forget to let me know what products and methods of keeping your skin healthy will you take part in! Let me know by commenting and sharing this article.